to a thriving cluster of over 1,500 high technology businesses? 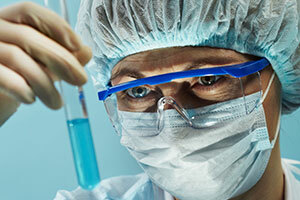 The ‘Cambridge Cluster’ is the oldest and one of the most successful clusters of biotech companies in Europe. With strong connections to the University of Cambridge, the cluster has evolved into one of the world's most enterprising networks of technology, life sciences and service companies, employing 57,000 people across 1,500+ companies – with a combined annual revenue of over £13 billion. The city’s workers enjoy average earnings of £40,000 a year - far higher than elsewhere in the country. Other universities in Cambridge with significant activities within the Cambridge Cluster area are Anglia Ruskin University and Open University. The cluster is also home to the Cambridge Biomedical Campus, one of the largest biomedical research networks in the world, soon to be joined by the new global research headquarters for Astra Zeneca. We deliver benefits across the whole spectrum of society, from our primary aim of improving human health to creating a skilled workforce, growing innovative businesses and generating inward investment for the UK. We are a publicly-funded organisation supporting research across the entire spectrum of medical sciences; in universities and hospitals, in our own units and institutes in the UK, and in our units in Africa. Our scientists tackle difficult, long-term research problems and have made countless discoveries that have had tangible benefits, from the sequencing of DNA to the development of humanised monoclonal antibodies that are now used to treat a range of chronic diseases. With the growth of the Cambridge cluster, the area has seen an explosion of careers in bioinformatics and informatics. However, many of the recruiters in and around Cambridge have difficulties in recruiting bioinformaticians and as such the role is currently included on the Tier 2 Shortage Government approved Occupation List. Informatics is the discipline which combines scientific, computer science and statistical knowledge. It manages, integrates, manipulates and analyses large data sets which result for instance from sequencing large volumes of genomes or data that results from advancements in imaging techniques. Informatics is used throughout all scientific disciplines. Bio-informatics is an important and growing area within pharmaceutical companies and contract research organisations and hence there is also a high demand for people with these skills for the life science industry. Bio-informaticians use algorithms (software), statistics and high performance computing (hardware) to do their roles. They require very specific software environments and may be involved in writing these. Some bio-informaticians perform a service to research groups, storing, analysing and interpreting the data. Others, typically called ‘computational biologists’, lead their own research and focus on applying the computational approaches to address the most important questions of the day. This is a developing field and various other job titles are used, which all relate to the similar, yet often quite varied, disciplines. Often used job titles are bio-informatician, statistical geneticist, neuroinformatician, health informatician, genome and nextgeneration sequencing data analyst, computer biologist, bio-statistician, scientific database curator, bio-informatics engineer, biosoftware support engineer, genome analyst and lab information management system programmer. 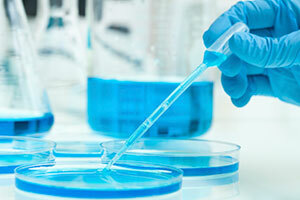 There are few conventional university programmes that teach bio-informatics. Recruits tend to come from a biology background with a strong interest in computer programming and mathematics; others come from a more computational background with a strong interest in biology. They are typically educated to PhD level, although those performing ‘service functions’ can be of degree or post-grad calibre. 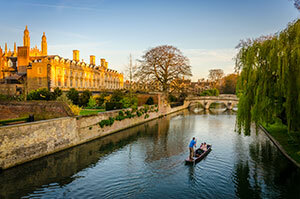 Cambridge is one of the most beautiful and vibrant cities in the UK to visit, packed with many things to see and do. It is particularly well known for the stunning architecture of the university colleges, the cobbled streets of the city centre, and the picturesque rolling fields of Grantchester Meadows. In addition to a wide-range of high street shops, restaurants and leisure options, Cambridge also hosts a number of exciting annual events including the Festival of Ideas and Cambridge Science Festival. The world-renowned independent film festival at the Arts Picturehouse, the famous Folk Festival and various community programmes organised by the University. Cambridge also benefits from being a short distance from the stunning landscape of the Cambridgeshire Fens and a host of other attractions such as Ely Cathedral, Oliver Cromwell's house, Newmarket Races and various wildlife parks and stately homes. Cambridge is also within easy reach of the beautiful broads and coastlines of Norfolk and Suffolk. If you prefer a faster pace of life, London is only a fifty-minute train ride away.